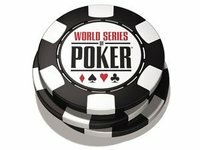 With only 10 remaining, the WPT World Poker Challenge was shaping up for an all-timer final table, as Phil Ivey, Michael "The Grinder" Mizrachi, Chau Giang, and David "The Dragon" Pham* were all in contention. During play, a monkey showed up carrying an Ebola-like contagious virus called Motaba. The monkey was brought to the U.S. Americas to be sold illegally in the underground pet trade market. The monkey began spitting on everyone's faces, infecting them all. Will the virus kill humanity? And just how far will the U.S. American government go to stop it's spread??? 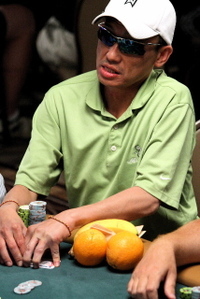 Phil Ivey was eliminated in 10th ($46,832), Chau Giang in 8th ($65,565), and The Grinder in 7th ($74,931), leaving only David "The Dragon" Pham** as a "name" at the final table. Pham is stacked at 406,000, fourth overall. 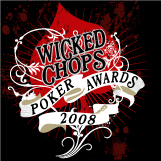 He trails the big-boned big-stack Jason Potter (1,156,000). No word yet if Potter is the Blue Diamond Almonds Bold Player of the Day, but if so, wethinks that year supply of almonds may be just as important of a prize as the first place money. The rest of the televised final table includes: Lee Markholt (1,137,000), Bryan Devonshire (674,000), Zach Hyman (285,000), and Jeff DeWitt (249,000). Get live final table blogging from the WPT website at 5pm PST here.